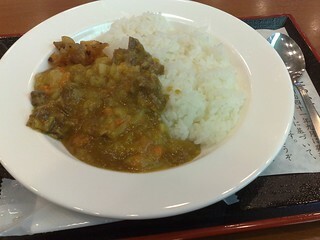 This curry & rice is made under the recipe created in September 1908. It was widely eaten in Japanese Imperial Navy. Served at Yui restaurant in the Yushukan Museum. Chiyoda-ku, Tokyo, Japan.